Grab your flashlight and get ready to party at Blackberry Farm! 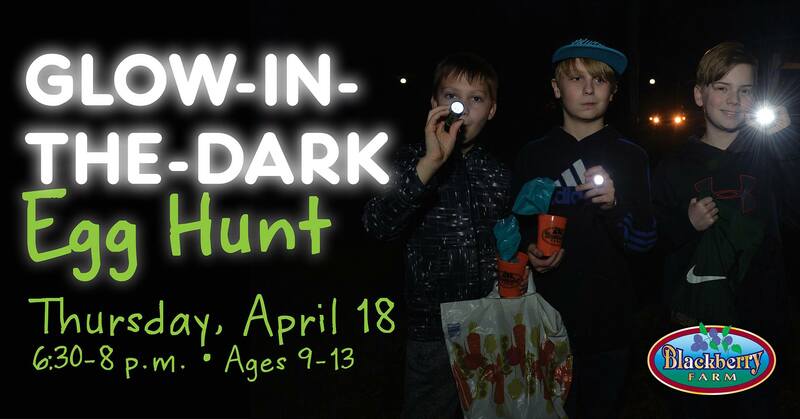 Enjoy hayrides, dancing, games and a Glow in the Dark Egg Hunt with prizes! Dinner will be provided and don’t forget your flashlight. Pre-registration is required, visit the website link.